Healthy, sustainable green living isn't a new idea, but it is rapidly becoming a top item on homebuyers' wish lists. Homebuilders and tech companies are embracing the wants and needs of today's consumer. The market is changing, and demand is growing for sustainable living and integrated smart technology in homes. Gone but not forgotten are the avocado kitchens, the carpeted bathrooms and the sponge-painted walls. I’ll bet that some of you are still rocking one of those beloved trends in your home. You know who you are. But 2016 home trends are more on the clean living side. There are many new trends that we’ll see this year including new pastel Pantone colors and smart appliances. Some will stay, and some will hopefully go — quickly. 2016 #hometrends will include new pastel Pantone colors, smart appliances and clean living. In any case, working with my buyer clients and talking to them about their new home requirements has solidified the fact that a healthy, sustainable and smart home environment is here to stay, and it’s becoming increasingly important to today’s consumers. They are some of the top items on their homebuying wish lists. These shifts in the marketplace are clear indications that manufacturers are listening to the end consumer. My advice to homesellers — you should be listening, too. If your clients are thinking about putting their homes on the market this year and want to make a few upgrades, now is the perfect time to start strategizing. Here are just a few key trends that savvy, sophisticated buyers will be gravitating toward when looking for their new home in 2016. Matte finishes will slowly replace stainless steel in 2016 and 2017. Don’t worry, they will still blend in with existing appliances such as stainless or black and white, but it will help the homeowner save money by transitioning their appliances over time instead of having to buy everything all at once. The matte finishes have a bonus, too. They hide fingerprints, smudges and dirt, and they are easier to clean than typical stainless steel finishes. The days of cement flooring are out. It’s too cold and hard on the feet. Cork flooring is making a comeback. It now comes in a variety of colors and is much more comfortable to walk on than traditional wood flooring and ceramic tile. 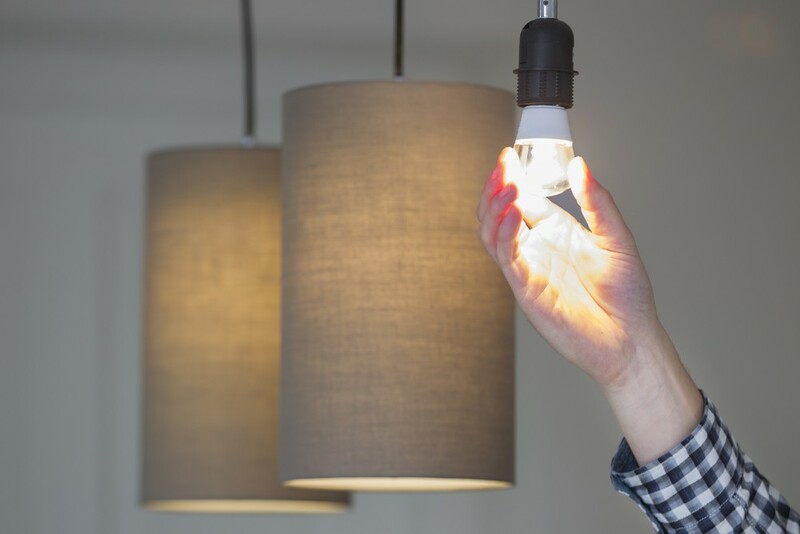 This year, GE is expected to release its new smart LED bulb that can change the color of the light that’s emitted to sync with the body’s circadian rhythm. “C by GE” uses Bluetooth connectivity to communicate with your smartphone so you can personalize your color temperature settings throughout the day. It’s designed to sync with your sleep cycle. You’ll be able to set it to change from energizing white light during the day to a warmer, more relaxing orange glow in the evening. The National Association of Homebuilders’ 2016 New American Home will feature a whole-home water filtration system, and I think that this will be an ongoing trend in new homes. The @NAHBhome 2016 New American Home will feature a water filtration system. Clean living is in. For existing homes, this will be a popular feature tacked onto home renovation budgets. Efficient, family-friendly layouts and open floorplans with smart home technology are going to be more popular than ever in 2016. Today’s buyers are looking for homes that are well-designed with more space in central living areas, great flow and clever, built-in storage. And a large percentage of buyers won’t be looking for the huge, 3,000-square-foot properties anymore. Smaller, smart homes are what tech-savvy buyers want — especially millennial buyers. They are all about respect for the environment, conserving energy and high-tech homes. Luxury vinyl flooring and larger tile (12 -by-24 inch or 36-by-36 inch as opposed to 12-by-12 inch) will be a huge trend in 2016. We’ll also see more of the larger 5-by-10 foot tiles in shower surrounds and walls in bathrooms. These larger, smooth surfaces not only have a simple, clean design aesthetic, but they also use less grout, which is difficult to clean and susceptible to mold and mildew. Fewer shags and more patterned carpets will replace the standard plush. Cut and loop will be popular in 2016 and beyond. Carpet pattern and texture increase the perception of quality and value in carpet and can contrast beautifully with smoother elements such as walls, counters and furniture surfaces. Your home is your personal ecosystem. With all of the healthy home products available to consumers right now, it’s possible to live in an environment that is beautiful, sustainable, energy efficient and safe with no sneezing or off-gassing. Top trends will be fabrics that don’t hold dust, Quartz stone countertops that are lower maintenance with antibacterial properties and durability, mudrooms with benches where people can leave their shoes to prevent toxins from entering the home and under-mounted sinks, which keep things cleaner by not trapping bacteria in the lip of the sink. Trends will include dust-free fabrics, Quartz countertops and mudrooms for shoe removal. The luxury market will also include new high-end amenities such as outdoor showers, procedure rooms and private museums. Some luxury buyers are even scooping up the house next door to use for separate guest spaces. Millennials and Generation Xers are likely to make up the largest portion of homebuyers in 2016. New developments are now thinking outside of the box by offering a wide variety of amenities such as pet-friendly facilities, observatories, luxury spa services, valet parking and on-site workspaces to appeal to this demographic. We must embrace the progress train or we’ll get run over by it. Sustainable living and smart home technology is here to stay and is just getting bigger and better year after year. If your sellers have smart home technology or clean living features, make sure you play them up in the listing, which is your only chance to make a first impression. There are so many resources out there to help you stay on top of new technology coming to the market. Do your homework before you sit down with your buyers to make their homebuying wish lists. Do your homework before you sit down with your buyers to make their homebuying wish lists. Otherwise, you might look like a deer in the headlights when they start adding their must-haves such as a Nest, an August or Lauzon flooring. What’s an August? That’s for me to know and for you to find out. If you’ve noticed other design trends in your area, send me an email. I’d be interested in what other markets are seeing. Danielle Procopio is a Realtor and certified home staging consultant at Coldwell Banker Residential Brokerage. You can follow her on Twitter (@affinitypropgrp) and find her on Facebook.